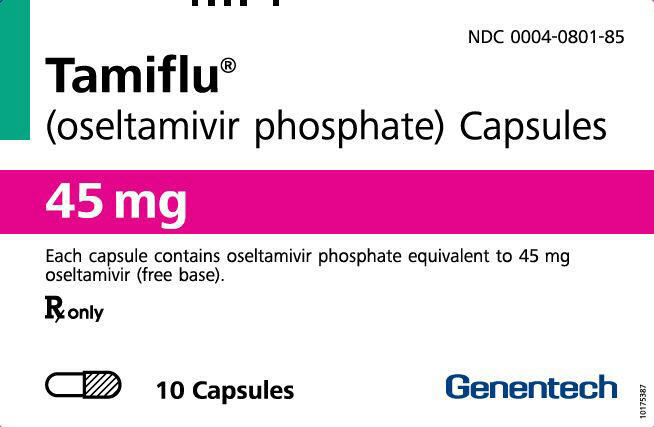 These highlights do not include all the information needed to use TAMIFLU safely and effectively. See full prescribing information for TAMIFLU. • The recommended duration for post-exposure prophylaxis is 10 days and the recommended duration for community outbreak (seasonal/pre-exposure) prophylaxis is up to 6 weeks (or up to 12 weeks in immunocompromised patients). The amount supplied (e.g., number of bottles or capsules) for seasonal prophylaxis may be greater than for post-exposure prophylaxis. • Use an oral dosing dispensing device that measures the appropriate volume in mL with the oral suspension. • TAMIFLU for oral suspension is the preferred formulation for patients who cannot swallow capsules. • For patients less than 1 year of age, provide an appropriate dosing device that can accurately measure and administer small volumes. • Capsules or oral suspension can be used for 30 mg dosing. • The recommended duration for post-exposure prophylaxis is at least 10 days and the recommended duration for community outbreak (seasonal/pre-exposure) prophylaxis is up to 6 weeks (or up to 12 weeks in immunocompromised patients). • Data derived from studies in continuous ambulatory peritoneal dialysis (CAPD) patients. • Tap the closed bottle containing the supplied TAMIFLU white powder several times to loosen the powder. • Measure 55 mL of water in a graduated cylinder. • Add the total amount of water for constitution to the bottle. • Close bottle with child-resistant cap tightly and shake the closed bottle well for 15 seconds. • Label the bottle with instructions to "Shake Well Before Use". • The constituted oral suspension contains 360 mg of oseltamivir base per 60 mL of volume (6 mg per mL) and is white, tutti-fruttiâ€“flavored). Use the constituted oral suspension within 17 days of preparation when stored under refrigeration, 2º to 8ºC (36º to 46ºF), or within 10 days if stored at controlled room temperature, 25ºC (77ºF). Write the expiration date of the constituted oral suspension on the bottle label. • Ensure patients have an oral dosing dispenser that measures the appropriate volume in milliliters. Counsel patients on how to utilize the oral dosing dispenser and correctly measure the oral suspension as prescribed (see Tables 1 and 2). • If the TAMIFLU dose is between the doses listed, use the greater listed dose to determine the total volume of prepared oral suspension. There have been postmarketing reports of delirium and abnormal behavior leading to injury, and in some cases resulting in fatal outcomes, in patients with influenza who were receiving TAMIFLU [see Adverse Reactions (6.2)]. Because these events were reported voluntarily during clinical practice, estimates of frequency cannot be made but they appear to be uncommon based on TAMIFLU usage data. These events were reported primarily among pediatric patients and often had an abrupt onset and rapid resolution. The contribution of TAMIFLU to these events has not been established. Influenza can be associated with a variety of neurologic and behavioral symptoms that can include events such as hallucinations, delirium, and abnormal behavior, in some cases resulting in fatal outcomes. These events may occur in the setting of encephalitis or encephalopathy but can occur without obvious severe disease. Closely monitor TAMIFLU-treated patients with influenza for signs of abnormal behavior. If neuropsychiatric symptoms occur, evaluate the risks and benefits of continuing TAMIFLU for each patient. • Adverse reactions that occurred in â‰¥1% of TAMIFLU-treated adults and adolescents and â‰¥1% greater in TAMIFLU-treated subjects compared to placebo-treated subjects in either the treatment or prophylaxis trials. 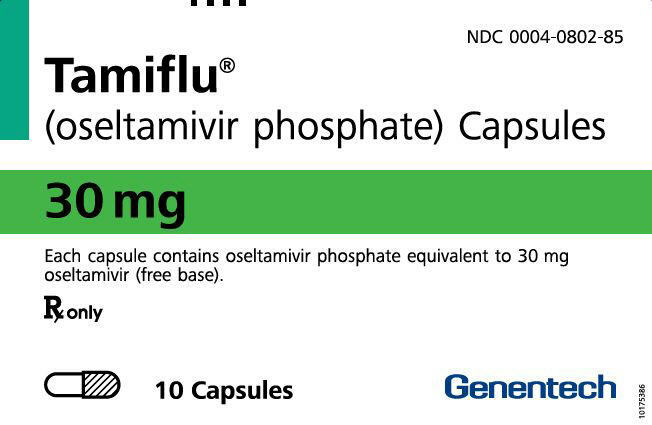 Amongst the 148 pediatric subjects aged 1 year to 12 years who received TAMIFLU at doses of 30 to 60 mg once daily for 10 days in a post-exposure prophylaxis study in household contacts (n = 99), and in a separate 6â€“week seasonal influenza prophylaxis safety study (n = 49), vomiting was the most frequent adverse reaction (8% on TAMIFLU versus 2% in the no prophylaxis group). 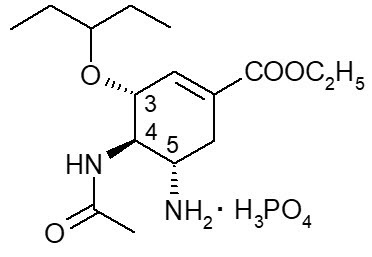 Oseltamivir was administered orally during organogenesis to pregnant rats (at 50, 250, or 1500 mg/kg/day on gestation days 6 to 17) and rabbits (at 50, 150, or 500 mg/kg/day on gestation days 6 to 18). In rats, embryo-fetal effects consisting of an increased incidence of minor skeletal malformations were observed at a maternally toxic dose (1500 mg/kg/day), resulting in systemic drug exposures (based on AUC for oseltamivir carboxylate) 190 times human exposures at the maximum recommended human dose (MRHD) of TAMIFLU (75 mg twice a day). In the rabbit study, embryo-fetal effects consisting of an increased incidence of minor skeletal abnormalities and variants were observed at maternally toxic doses (â‰¥150 mg/kg/day) resulting in systemic exposures (based on AUC for oseltamivir carboxylate) â‰¥8 times human exposures at the MRHD of TAMIFLU. In prenatal and postnatal development studies in rats, oseltamivir was administered orally (at 50, 250, 500, or 1500 mg/kg/day) from organogenesis through late gestation, delivery, and lactation (gestation day 6 to postpartum/lactation day 20). Prolonged parturition duration and reduced offspring viability were observed at a maternally toxic dose (1500 mg/kg/day). No adverse maternal or offspring effects were observed at doses â‰¤500 mg/kg/day, resulting in systemic drug exposures (based on AUC for oseltamivir carboxylate) 44 times human exposures at the MRHD of TAMIFLU. Coadministration with food had no significant effect on the peak plasma concentration (551 ng/mL under fasted conditions and 441 ng/mL under fed conditions) and the area under the plasma concentration time curve (6218 ngâˆ™h/mL under fasted conditions and 6069 ngâˆ™h/mL under fed conditions) of oseltamivir carboxylate. • AUC normalized to 48 hours. • All numbering is N2, except where indicated. Supplied as a white powder blend in a glass bottle. After constitution, the powder blend produces a white tutti-fruttiâ€“flavored oral suspension. 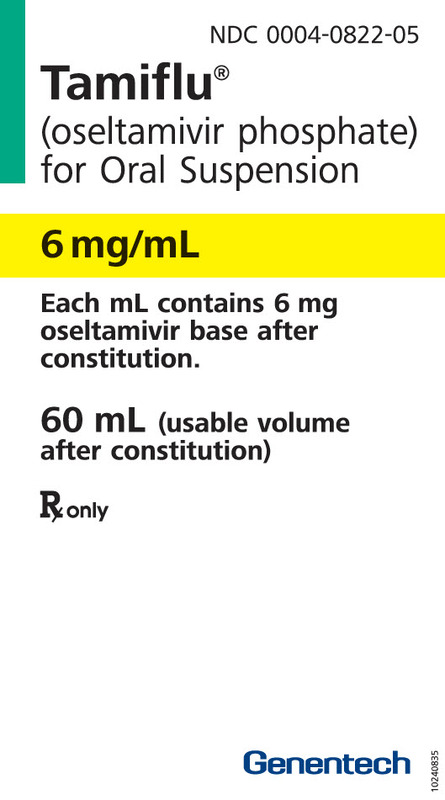 After constitution with 55 mL of water, each bottle delivers a usable volume of 60 mL of oral suspension equivalent to 360 mg oseltamivir base (6 mg/mL) [see Dosage and Administration (2.5)] (NDC 0004-0822-05).